Mohamed Al Hammadi is the Chief Executive Officer of the Emirates Nuclear Energy Corporation (ENEC). Prior to joining ENEC, Mr. Al Hammadi was General Manager of the Federal Electricity and Water Authority (FEWA) where he led a transformational management process focused on the implementation of best practices and international standards to the authority. Mr. Al Hammadi also served many years in various utility and energy companies including Abu Dhabi Distribution Company and Abu Dhabi Water and Electricity Company as well as serving on the Board of Directors for Taweelah Asia Power Company. Recently, Mr. Al Hammadi has been appointed as a member of the World Association of Nuclear Operators’ (WANO) Governing Board of its Atlanta Centre. The WANO Atlanta Centre is one of four key regional centres that promote engagement with members throughout the world to ensure alignment. From 2013 to 14, Mr. Al Hammadi was also the Chairman of the Global Agenda Council on Energy Security of the World Economic Forum (WEF), an advisory committee that identifies and discusses energy security challenges across the world. PSE: When and why was the company established? MAH: ENEC was established in December of 2009 by an Emiri Decree issued by H.H. Sheikh Khalifa Bin Zayed Al Nahyan, President of the United Arab Emirates, following a comprehensive energy study that assessed multiple energy options in terms of costs, sustainability, security, and the potential for long-term economic development. Energy policymakers in the UAE needed a proven, reliable and commercially competitive technology that could provide electricity, while increasing the national quotas of energy security and diversification of supply to respond to a growing national electricity demand. PSE: What are the UAE’s nuclear energy ambitions and what does the future of nuclear energy and the UAE’s energy mix in general look like? MAH: ENEC is mandated by the Government to construct and operate four nuclear energy units to the highest standards of safety, quality and security. These four units will provide up to 5,600 MW of electricity to the UAE, which is estimated to be the equivalent of a quarter of the nation’s electricity demand. From an environmental perspective, the four nuclear energy units will save up to 12 million tons of carbon emissions every year, reducing our dependence on fossil fuels and driving the growth of a new high-tech industry in the UAE for decades to come. PSE: What are some of the major milestones that ENEC has achieved to date in establishing its nuclear programme? 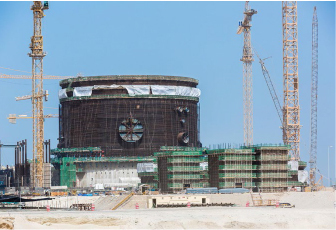 MAH: In 2015, ENEC celebrated the commencement of Unit 4 in Barakah. 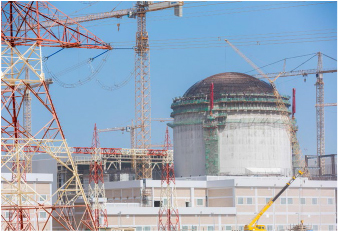 This milestone transformed the Barakah Plant into a world-leading nuclear construction site. We are proud to be the only site in the world constructing four identical reactors simultaneously and we continue to focus on the safe delivery of the UAE peaceful nuclear energy program. Another milestone took place in December 2015, when ENEC was honoured with 3 awards in the fourth Abu Dhabi Government Awards for Excellence in Government Performance. Our most prestigious accolade though, was the Most Distinguished Government Entity Award, which selected ENEC out of 306 entries from 51 government entities in the Emirate of Abu Dhabi. It is in recognition of the world-leading work that ENEC is delivering. Other major milestones in the development of the program so far include the beginning of construction on the country’s first nuclear energy reactor, Unit 1, in July 2012. Subsequently, Unit 1 has now seen the completion and installation of the Containment Liner Plate in November 2013, the installation of the Condenser in February 2014 and the setting of the nation’s first nuclear energy Reactor Vessel in May 2014. PSE: How has the company grown since inception? MAH: Since our establishment in 2009, ENEC has continued to develop from a small energy start-up, into a world-class nuclear energy construction and operations company with a team of more than 1,700 experts. ENEC focuses on bringing the best international experts and the most talented Emirati minds to make a nuclear energy company founded on safety and quality. We are also investing in the new generation of Emirati nuclear experts, with our Energy Pioneers program that teaches nuclear science and operations to talented students. 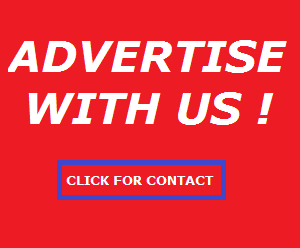 PSE: Can you provide us with a glimpse into the future of nuclear energy in the UAE? Nuclear energy will have a strategic role in powering the future growth of the nation. On one side, it will provide up to a quarter of the electricity demand with near-zero emissions, which will contribute to a more sustainable future. ENEC is also working with local companies to qualify them to become nuclear providers by becoming NQA-1 certified. This means that the development of nuclear energy is helping to improve quality assurance across local companies and these will be able to provide products and services to Barakah and other nuclear energy projects globally. Finally, nuclear energy in the UAE is creating access for thousands of talented Emiratis to have opportunities both in the UAE and internationally. PSE: There is much debate about whether or not nuclear energy can in fact be classified as “green” because it is a low carbon power generation source. What is your take on this and how important is it for the UAE to diversify away from its reliance on fossil fuels? MAH: From a sustainability perspective, if we look at the countries that perform the highest, there is a key set of criteria that needs to be taken into account. From one side, we have to look at the energy sustainability index of a country and see how its energy generation is preserving natural resources. Then, we also have to look at how this country can generate electricity without depending too much on foreign resources being imported. Finally, we also have to look at how the energy generation portfolio is contributing to the wellbeing and economic growth of a nation. The World Energy Council tracks the performance of these key elements for energy sustainability and the facts tell us that countries with peaceful nuclear energy generation are more energy sustainable than those who don’t have this, because nuclear energy is a reliable, near emissions-free technology. If we look at the results of the 2015 WEC Energy Trilemma Index, three out of the top five countries generate part of its electricity through peaceful nuclear energy. It is also important to note that the nuclear energy industry needs to improve its role in educating and engaging with energy stakeholders and the population at large, in order to improve its public acceptance. The UAE understood this requirement and was founded with a commitment to educate the population on nuclear energy. PSE: What are some of the key global benchmarks for establishing a leading practice nuclear energy programme and how has ENEC leveraged these global lessons learned? MAH: The UAE’s program is based on the cumulative experience of the global nuclear energy industry, and the government has worked closely with the International Atomic Energy Agency, as well as responsible nations, to adopt and implement the best practices for efficiency. The program is built on the most rigorous standards of safety and the UAE has received international praise for its policy commitments in the development of its nuclear energy program. Government officials, non-proliferation advocates, and energy experts worldwide have described the UAE approach as a model for countries interested in exploring nuclear energy. The governance system of the UAE peaceful nuclear energy program has also been praised internationally. On one side, the UAE established an independent Federal nuclear regulator that reviews the work of entities such as ENEC. On the other side, the UAE established the International Advisory Board (IAB), which is a body mandated to provide an expert, independent assessment of the UAE peaceful nuclear energy program. PSE: Can you provide us with a brief summary of ENEC’s journey towards excellence? MAH: ENEC’s journey towards excellence started from its inception in 2009, by building a robust quality assurance and management system to ensure the highest standards of safety, quality and efficiency. ENEC participated in the third and fourth cycle of the Abu Dhabi Excellence award where a plan for the participation for the fourth cycle has been developed and executed, ultimately resulting in winning the award as the most distinguished governmental entity. PSE: What are some of the key results and achievements that have led to this great result? MAH: The award is a culmination of effort and a culture of continuous improvement. Through this, ENEC has successfully implemented the highest international standards for operational efficiency and excellence by adopting nine international standards. When combined with a leadership team that believes in its employees, the sense of pride and loyalty has resulted in outstanding level of commitment, passion and hard work by all teams in ENEC. PSE: What are some of the key success factors that you would say sets ENEC apart from other participating entities and what advice would you give to your government peers in improving their organizational practices? MAH: We adopted the concept of excellence and quality by design, where we built best practices from different disciplines locally, regionally and globally into business processes in ENEC. ENEC leaders believe in the values created by adopting excellence practices and this belief is translated into behaviours and role model practices for their employees, where the main focus should be the continued improvement of the organization’s maturity. PSE: How have the leaders and employees responded to this amazing result? MAH: We have been delighted by the congratulations we have received from the leadership, our staff and our partners. Awards and recognition like this help us continue working towards achieving our goals and realizing our vision. However, our focus and determination is to continue to improve and safely deliver the UAE peaceful nuclear energy program. 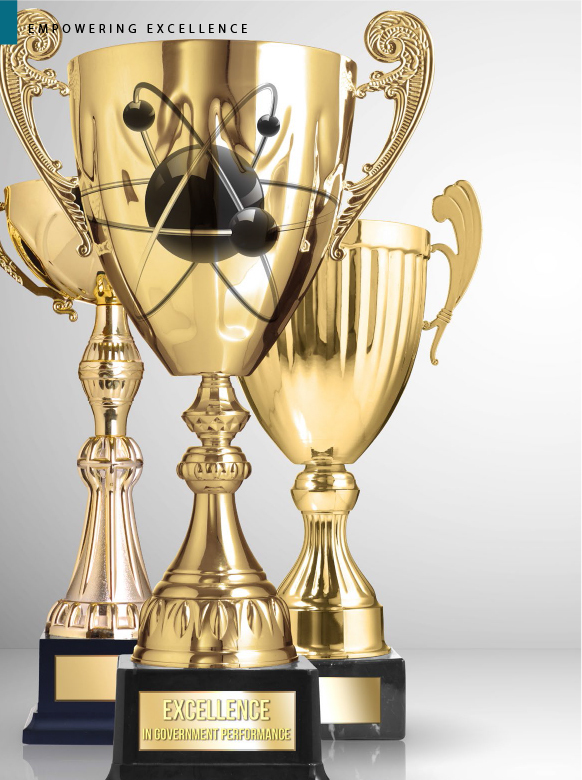 PSE: Last but not least, how do you plan to keep the positive momentum and strive for continued success? MAH: Winning this award is the result of ENEC’s vision, which is based on the highest standards of excellence, safety and quality, embedded across all divisions in our corporation. This adherence to high standards is what enables us to maintain our momentum and strive for continued success.